It is hard to imagine that only 20 years ago “China’s Silicon Valley” was but a village in Beijing’s Haidian District. Namely, Zhongguancun has since become a very well known, fully developed technology hub in China which facilitates both native and international scientists and technology experts. The founder of Zhongguancun, Chen Chunxian, first came up with the idea while on a government-sponsored U.S. trip, after being impressed with the American Silicon Valley. Another notable and a highly influential figure in Zhongguancun is Liu Chuanzhi. He is the founder of the legendary tech giant Lenovo and was one of the driving forces that helped shape the Beijing’s Silicon Valley ecosystem. Today, the district hosts hundreds of startups, multiple research and education centres, and numerous technology bazaars. Let us take a closer look at how Zhongguancun came to be and what it has become since its creation. As aforementioned, Haidian was once located just outside Beijing. What is interesting is that, even back then, it was one of the eight most important business districts in China. In the early twentieth century, it became a university area has not stopped developing ever since. It became an official administrative district in 1954 and since then evolved into China’s main centre for the IT industry, popularly known as the China’s Silicon Valley. Geographically, Zhongguancun is situated in the northwestern part of Beijing. It is located 20km away from the Fragrant Hills and forms a triangle with the Peking and the Tsinghua universities. Notable areas in the district include Kemao, Dinghao, Guigu, Taipingyang and Hailong technology markets. Experts are very optimistic when it comes to the future of this area, especially because it also houses the Chinese Academy of Sciences (CAS). This institution is a major player on the China’s IT scene because the great Lenovo Group spun off the university along with its founder Liu Chuanzhi. Many notable scientists and experts influenced the development of the Zhongguancun. Two of them include Chen Chunxian and Liu Chuanzhi. Chen Chunxian is officially the founder of the China's Silicon Valley. He acquired a Physics degree from the Moscow university and was a member of the Chinese Academy of Sciences, Institute of Physics. After an established agreement between Mao Zedong and Richard Nixon, Chen was invited to the U.S. with a purpose of strengthening the two countries’ relations. The trip proved to be highly inspirational and led Chen to recreate the original Silicon Valley model in Zhongguancun. He founded an NGO called “Advanced Technology Service Association”, because only government entities could be labeled as companies. After he finally got the permission to run his own company, Huaxia Guigu, Chen Chunxian was still not able to make it a successful one. However, his efforts did not go in vain. He is responsible for paving the way for future entrepreneurs such as Lenovo’s founder Liu Chuanzhi. Liu Chuanzhi is the founder and still remains the leader of one of the world’s most prominent computer manufacturer- Lenovo. He founded the company in 1984, along with ten other Beijing’s engineers. After developing a circuit board for processing Chinese characters on IBM PCs, the company saw its first major success. Lenovo has ever since continued to develop and has become the third largest PC maker in the world. 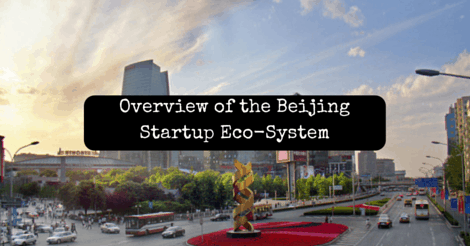 Much thanks to the presence of such a company, Beijing's startup ecosystem continued to evolve. The three most prominent Chinese companies that rose from Zhongguancun are Lenovo, the Founder Group and the Stone Group and they were all founded between 1984 and 1985. All three companies are directly connected with the academia, as the academic sector facilitates their most important backers and shareholders. As for the foreign companies, they have to play by the rules of the Chinese government. They have to be congruent with its laws to be able to coexist with their Chinese counterparts in Zhongguancun. Global companies that currently operate in China’s Silicon Valley include: Intel, Oracle Corporation, Google, Microsoft, Motorola, Sony, IBM, and many others. What is very interesting is the fact that Facebook is not included on this list due to the country’s strict censorship regulations. Therefore, the leading social media player is Renren. Top ecommerce platforms are not E-bay or Amazon, but rather Alibaba and 360buy.com. This is not at all a strange occurrence, since 90% of Chinese tech startups focus solely on the Chinese market. This results in a densely populated market, with the top players trying to fill up each and every niche with new products, while the smaller ones tend to copy proven business models in order to avoid dealing with unexpected problems. Chinese tech companies encompass a huge number of users within their self- contained ecosystem. A staggering 420 million users have mobile web access. It is well known that what makes a business successful nowadays is the use of cutting- edge technology. Consequently, Chinese startups have got a piece of software or an app to suit virtually any business owner’s and consumer’s needs. For that reason, it is not strange at all that 45% of China’s venture capital went straight into the Technology, Media and Telecommunications (TMT) sector. Zhongguancun alone produced 13 000 new startups in 2014. Their total revenue amassed to over 3.5 trillion yuan, or $650 billion. But how do they manage to keep up? Chinese startups are faster than their American counterparts. The main reason behind this is the existence of huge competition among entrepreneurs. What is interesting is that startups do not create this competitive atmosphere themselves. Rather, it is the byproduct of the fast consumer adoption rate that dictates the pace of development and ultimately sets high goals for entrepreneurs and workers alike. Mobile apps in China take take off at a much greater scale than the ones in the U.S. They become widespread overnight, especially because of the increasingly large number of smartphone users. This fast pace enables Chinese startups to develop much faster that American startups. The big ones are built in just three to five years, whereas in the U.S. it takes them about five to eight years. Expectedly, there is a noticeable lack of work- life balance in the Chinese startup ecosystem. Chinese startups work long hours which often entail twelve-hour work days and six-day weeks. In their startup culture this is called the 9/9/6, which means you work from 9am to 9pm and the “6”, well, you can figure it out for yourselves. Of course, executives work even longer hours-9/11/6.5. Talk about strong drive for achievement! It is well known that a large number of startups in China rely on product cloning. However, this trend is becoming less prominent as cloning reaches its max. To win faster and more efficiently, companies in Beijing’s SIlicon Valley started to focus on innovation. One might expect that drone technology, a lucrative new industry, will have its epicenter in Silicon Valley. However, it is actually the Chinese DJI that is dominating the world drone market, with a staggering 70% of the global market share. Chinese scientists and entrepreneurs are driving much of the innovation in the fields of aerodynamics, electric cars, robotics and more. Electronic suppliers are delivering parts and gadgets at lightning speeds, which, in turn, enables startups to accelerate their production and growth. There is even a company that produces gadgets for electronic farming of insects, claiming it is the new hot trend. Innovation can only come from an open mind and Zhongguancun definitely facilitates many. The fact that entrepreneurs in China have much more passion for work and their product is making the Silicon Valley startups follow suit. The long work hours, quick production time, and work dedication are the factors that are raising the bar for businesses globally. China is a prime example of what the U.S. Silicon Valley used to be about- innovation, production and resilience. Today, the whole world will have to turn to Zhongguancun for lessons on hard work and doing proper business. In the future, we just might see the Beijing’s Silicon Valley as the world’s main technology hub.